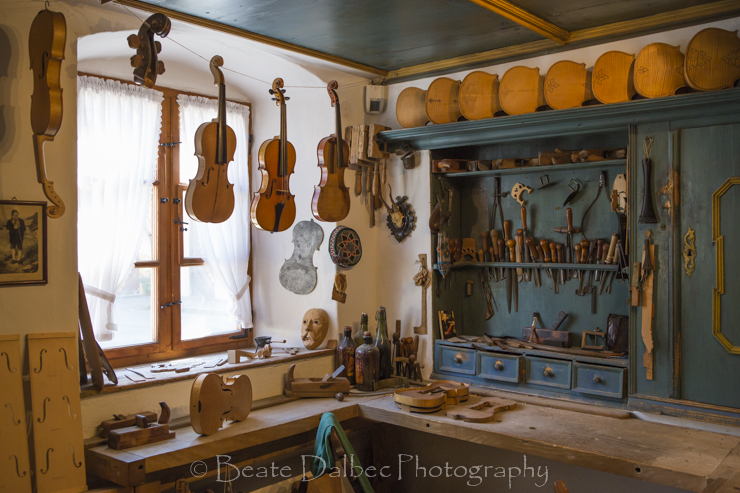 On my way back from the Dolomites to Munich this September, I stopped for a couple of hours in Mittenwald, Bavaria. 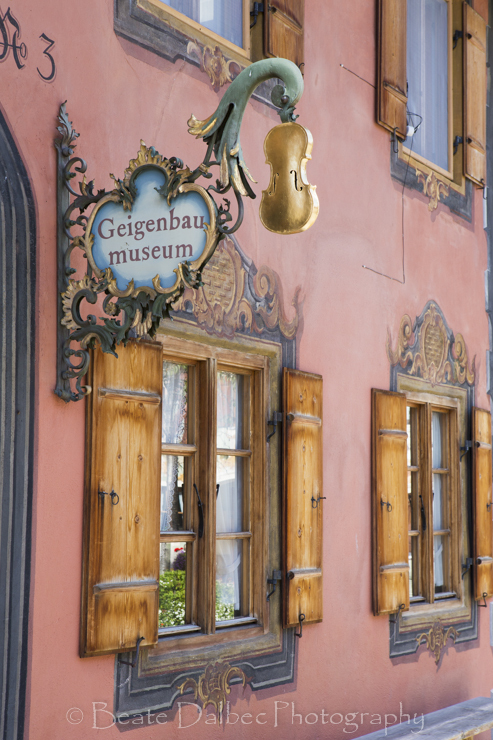 Mittenwald, a village situated in the foothills of the Alps, has been a center for manufacturing violins since the 17th century. The Klotz family started this tradition and continued it for generations. 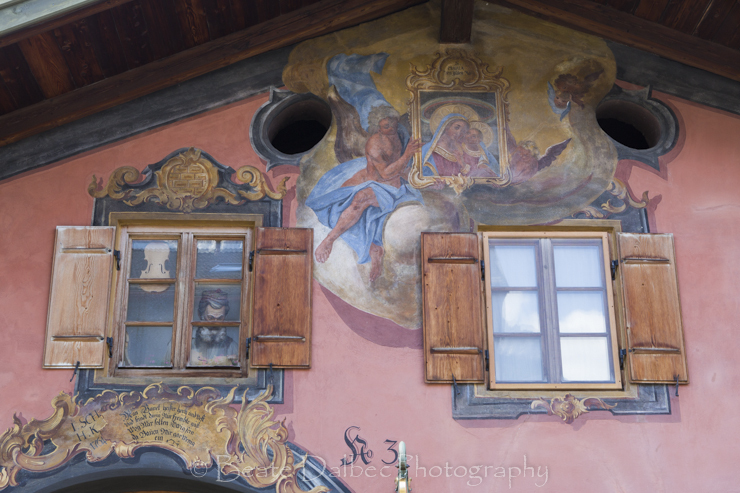 The town center of the village is known for its elaborately painted homes as well as the St. Peter and Paul church. 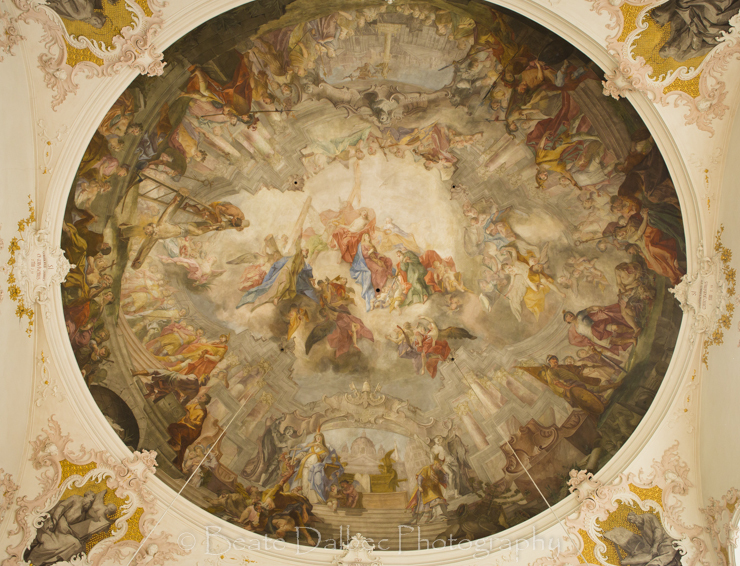 The beautifully painted ceiling in the St. Peter and Paul church. 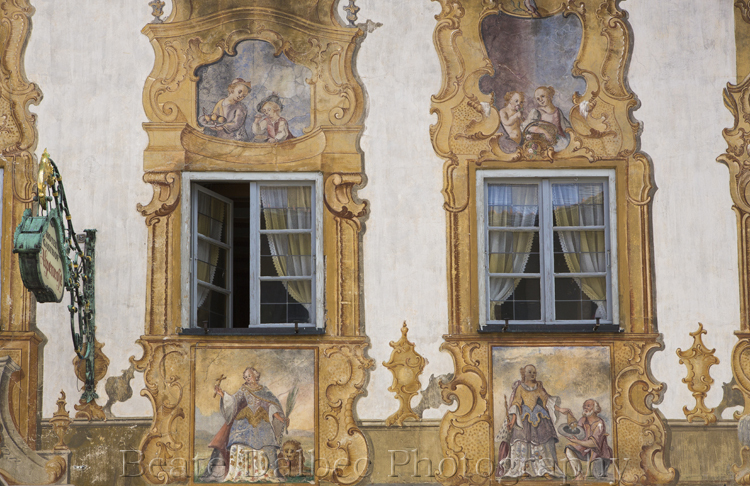 one of several painted houses along the main street in Mittenwald.